Warning: A lot of these pictures are graphic! I do not condone killing animals for entertainment! 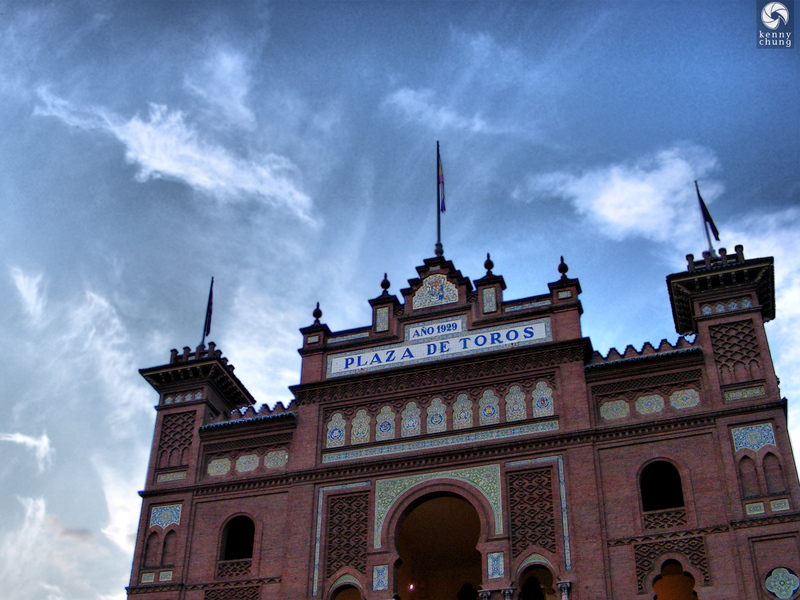 Plaza de Toros (plaza of the bulls) in Madrid is one of few places that still engages in traditional bullfights. 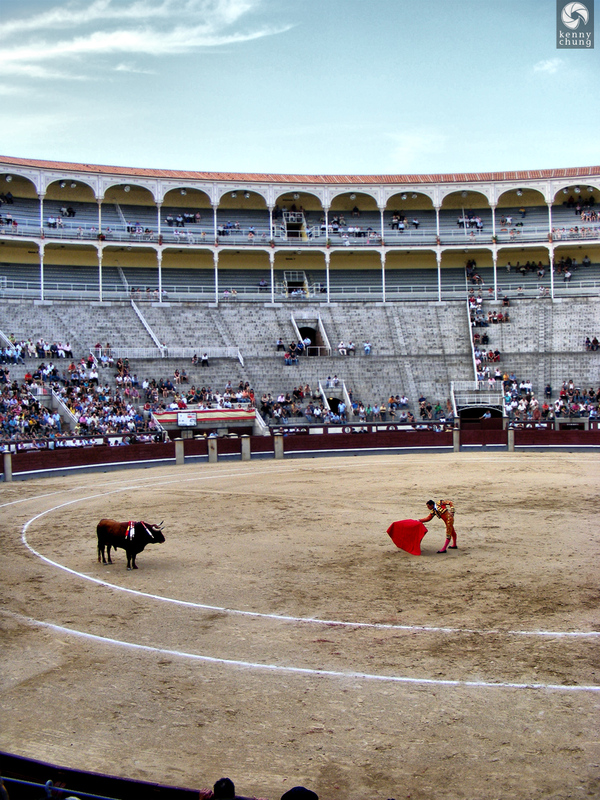 Despite the gore, Spanish-style bullfighting is an artform that requires skill and athleticism. 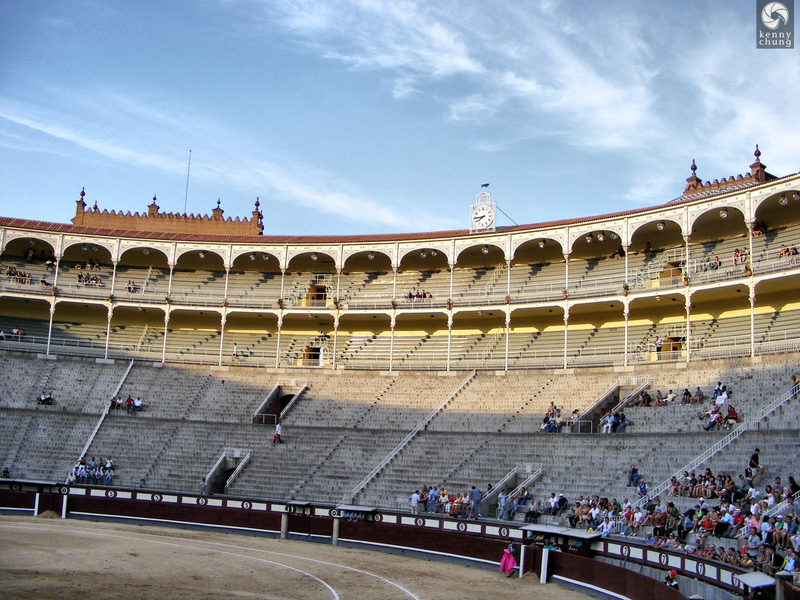 The stadium wasn't full for the bullfight, but that doesn't mean people weren't enthusiastic about the festivities. 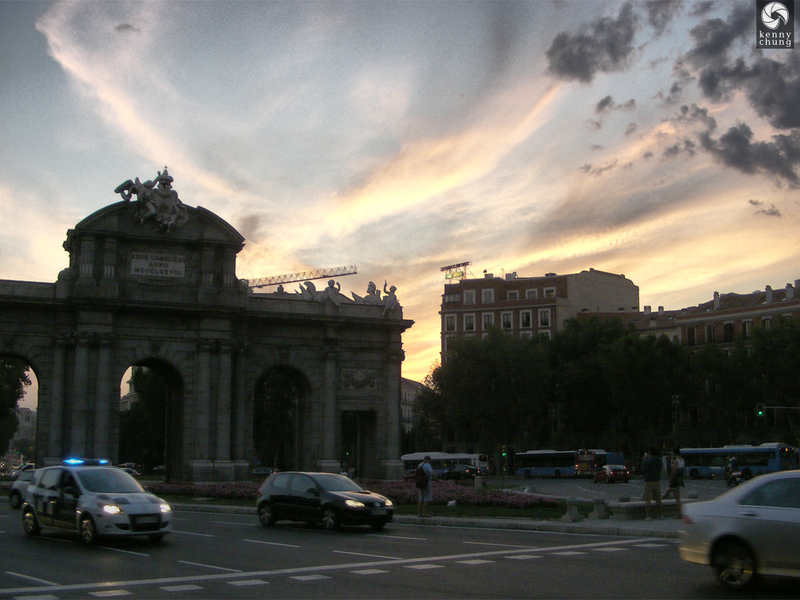 This is beginning of the first period, also known as the tercio de varas ("the lancing third"). 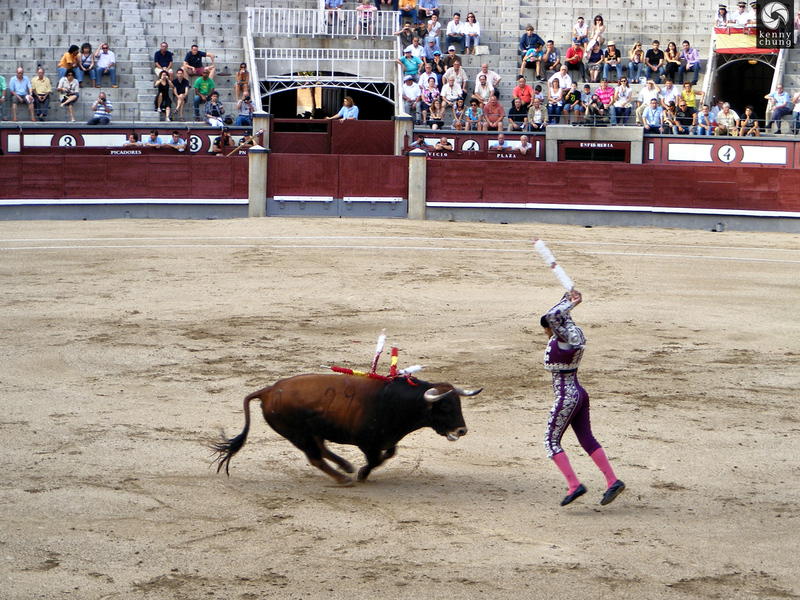 The picador (horseman) stabs the bull in the back of the neck with his lance. This is exactly why the horse is blindfolded. 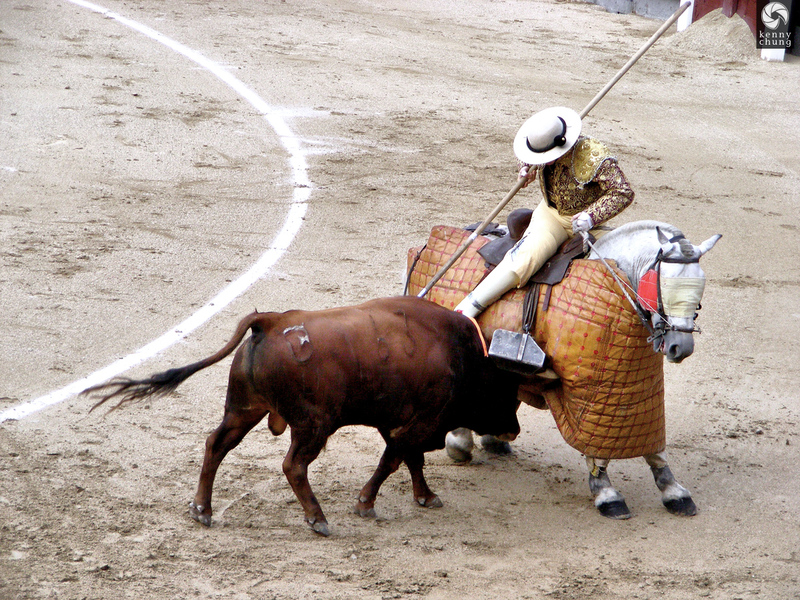 In the past, horses were not as protected by padding, and there would often be more horses killed than bulls. 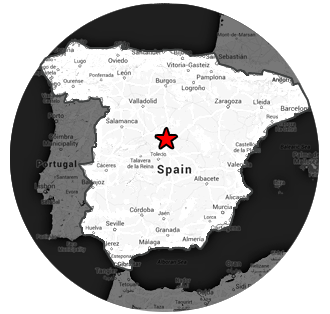 During the second "third" of traditional bullfighting, these flags are planted onto the back of the bull. 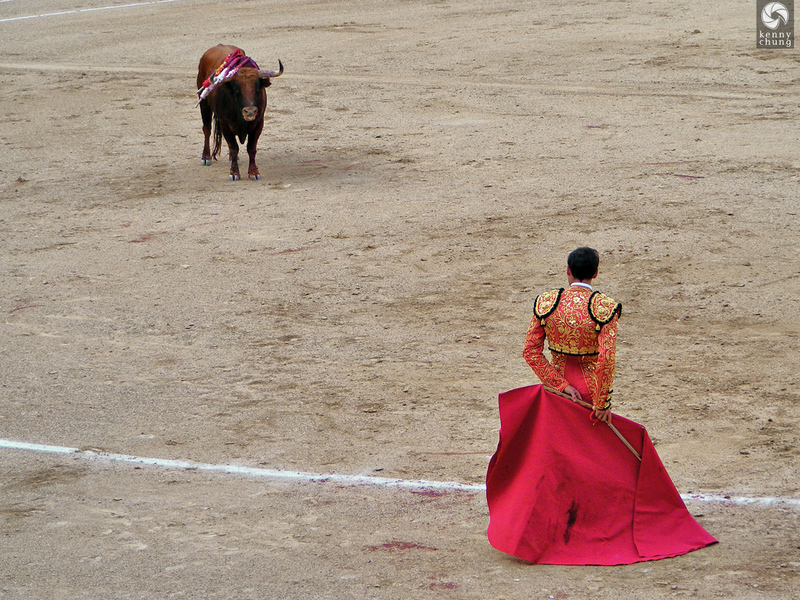 The matador taunting the bull from a safe distance. 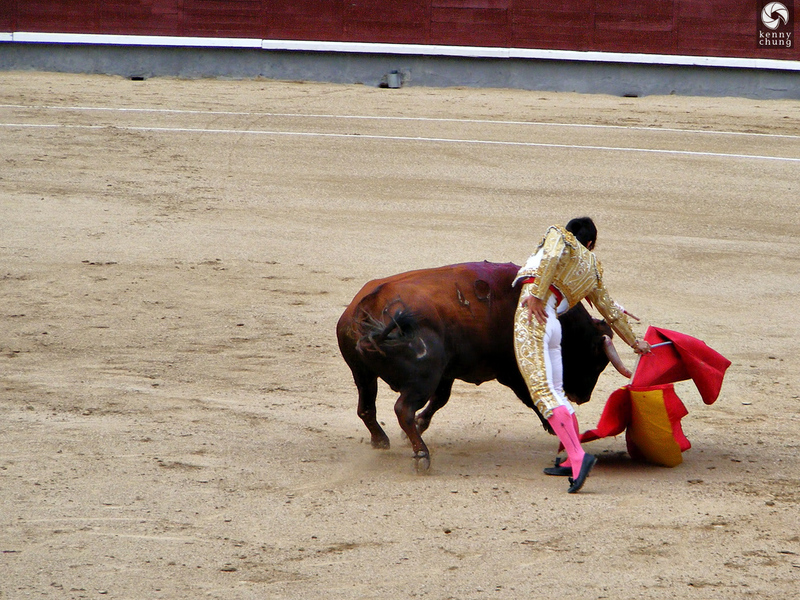 The matador tempting the very bloody bull. 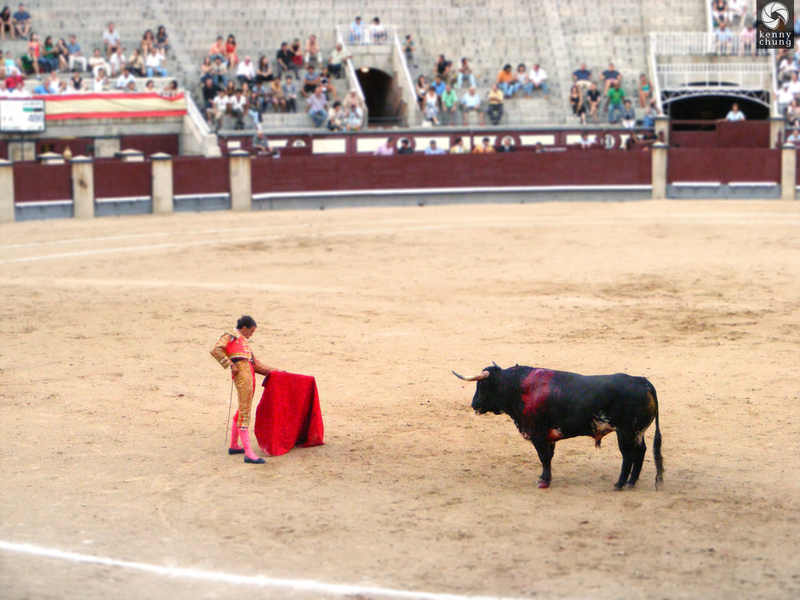 The matador getting ready to deal a lethal blow to the tired bull. 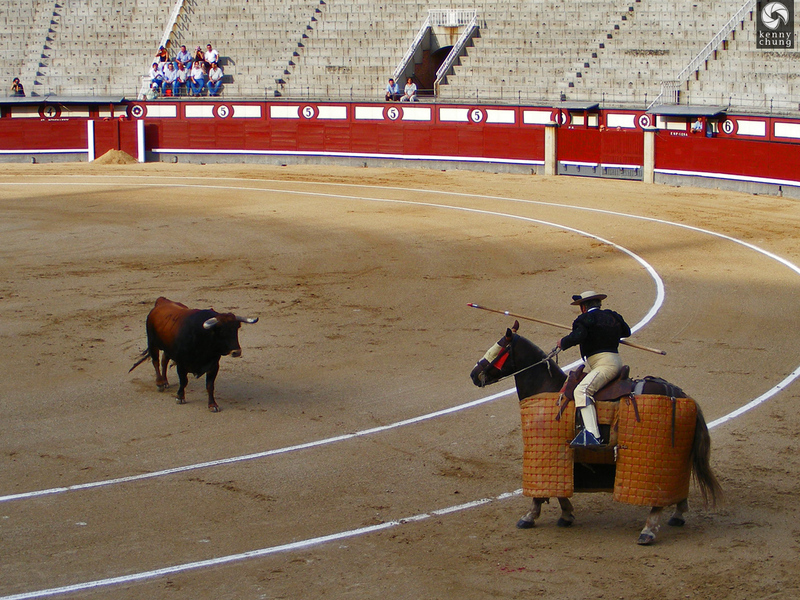 People leaving after a couple of rounds of bullfighting. 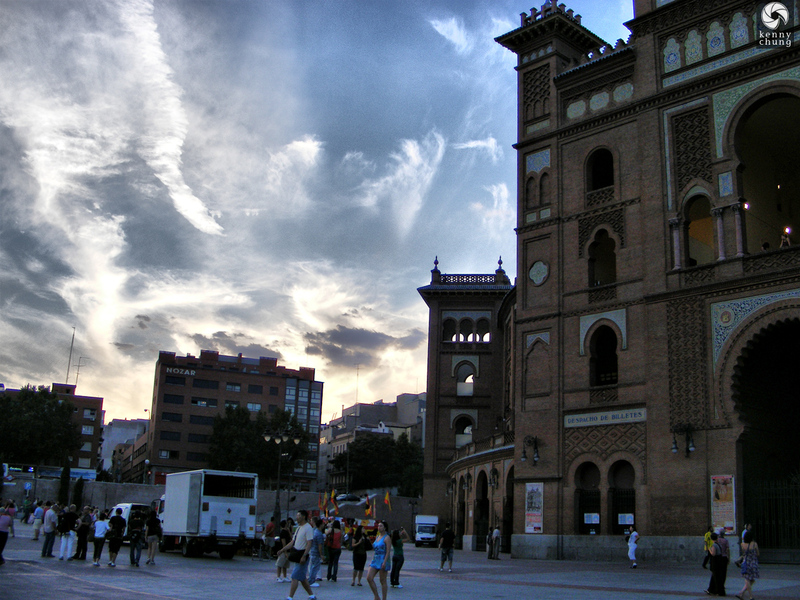 The facade of the Plaza de Toros in Las Ventas, Madrid.